Florida men took a break from posing for mugshots Tuesday to overwhelmingly vote in favor of, "the largest land conservation measure ever approved in a single state." Florida Amendment 1 earmarks $1 billion a year to conservation efforts, for the next 20 years. "This is treasure," stated a supporter of the amendment. "A lot of people never get to see something this good in their life." Approved by 75 percent of voters, the constitutional amendment will repair conservation financing in the state, eroded during the recession. Controversially, it also future proofs that financing, preventing legislators from dipping into the conservation budget during lean times, as they did over the last six years. Taxes won't be raised to fund all this, instead the bill devotes existing revenue from the state's real estate taxes. Half that money will go to Florida Forever, a land-purchasing conservation program which lost 97 percent of its budget starting in 2009. Expect the amount of protected land in Florida to increase drastically over the next two decades as a result. The rest will be split across various land, water, forest and wildlife initiatives. "The Amendment gives Florida voters a direct opportunity to keep drinking water clean, protect our rivers, springs and beaches and restore natural treasures like the Everglades—without any increase in taxes," claims VoteYesOn1FL.org. Florida's environment is especially sensitive. With wetlands on its surface and porous bedrock underneath, 20th century efforts to install massive irrigation and water control initiatives have been blamed for everything from sink holes to an increased risk of flooding to cutting off natural wildlife migration corridors. This unique environment still plays home to endangered species like jaguars and crocodiles. Amendment 1 will address both problems, helping to restore and protect natural wetlands while rebuilding the state's wildlife corridors. 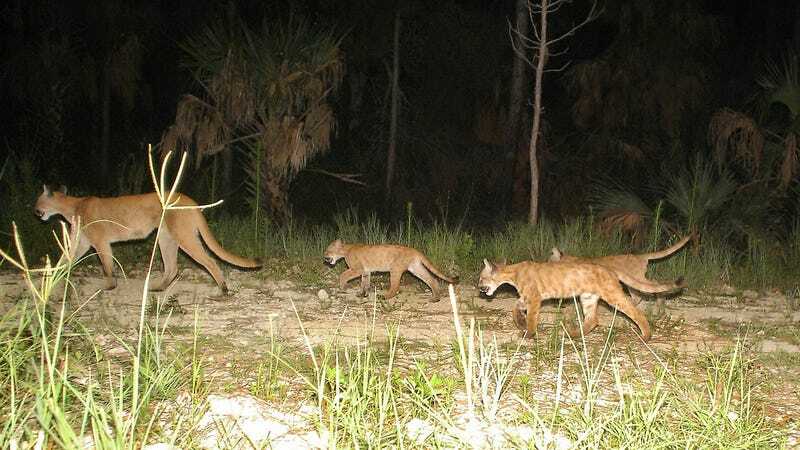 30 percent of Florida is already protected land, thanks to aggressive conservation policies which began in the 1990s. This puts this efforts back on track while ensuring their future. Florida's was the largest of several successful conservation bills passed on Tuesday. Californians voted in favor of the $7.5 billion water bond, $1.5 billion of which will go to conservation. New Jersey voted to earmark six percent of business tax revenues over the next two decades for conservation efforts, an amount that should exceed $2 billion. IndefinitelyWild is a new publication about adventure travel in the outdoors, the vehicles and gear that get us there and the people we meet along the way. Follow us onFacebook,Twitter and Instagram.